Have you ever walked into a retail store and longed for the simplicity of an online shopping experience? You’re not alone. According to a study performed on multi-channel retailers, most shoppers are not only searching for products they need online exclusively, but of those that do, 42 percent end up making the purchase there as well. When you then compare this against the other side of retail, where 20 percent of consumers found and purchased items in a brick-and-mortar location, the enormous trend of online shopping becomes crystal clear. And it’s these numbers, together with the 211 million Americans set to begin browsing products, comparing prices and buying goods online at least once during 2016 alone, that are demonstrating online shopping as the way of the future. But let’s be honest, retail owners: the future is already here. So what does this mean for companies who are updating their websites, or are new to the “click-and-mortar” retail game? Well, while web design and UX are big winners in giving a website’s users a great online experience, it’s content that will play one of the biggest roles in moving visitors through the sales funnel towards conversion. But you should also know that it’s only going to happen if your content is approached with the user’s needs in mind—and with a keen understanding of how to use your content strategically. To illustrate this further, I’ve taken a look at website content through a lens most people are already familiar with—retail stores—and how a store’s layout can either pay huge dividends, or have customers looking for the exit. Since 1825, when the first department store opened in the U.S., thousands of other retailers have latched on to the idea that an all-under-one-roof shopping experience was the pinnacle of retail success. Having said that, even modern warehouse and department stores—the Wal-Marts, Targets and Costcos of the world—sometimes offer more than their customers are looking for. Sure, they might be convenient when you’re picking up tonight’s dinner, gym shoes and a Sabrina, the Teenage Witch box set in a single shopping trip. But if you’re there to purchase just enough ramen noodles to get you through the week, it can be a fairly daunting experience. So what does this say about content on a website? Simply put, the days of offering too much information to visitors are gone. Long gone. Today’s content needs to be sleek, to the point, and anything but overwhelming. If you lay out your content like a warehouse or department store, where you’re willing to offer anything and everything to entice users to make a purchase, there’s a chance you’re just throwing mud at all the walls to see what eventually sticks. Unfortunately, the answer is: not too much, and not that often. It might sound a bit millennial, but I’ve always enjoyed perusing through the goods being sold at discount and mom & pop stores whenever I visit a new city. I’m not talking about nationwide chains either, but rather the Andy Griffith-style outlets that reek of traditional charm and guests are still greeted with a bell ring above the doorway upon entering. But once a small shop grows past its Mayberry stage and begins moving to the worldwide web, how can it reflect this kind of growth to customers? Through content, of course. And the beauty of content is how you can preserve the image you already established a long time ago, while giving even more people access to your goods and/or services. In order to bring the same type of personable, one-on-one experience you offer in your retail store to your online customers, messaging should always be sure to tell the story of who you are as a business and as people. In addition to staying true to your brand, however, you’ll also want to make sure your content leads visitors through a virtual experience parallel with the one you offer in your brick-and-mortar location—bell ring and all. So what does this mean exactly in terms of content? Only that your messaging needs to be friendly and authentic, yet is still driven by an online sales process that leads customers through the sales funnel. In the end, your messaging is about being true to your unique voice, and bringing that voice to a much larger audience. If a warehouse or department store isn’t enough to whet a customer’s shopping palate, the shopping mall is often the next best alternative. 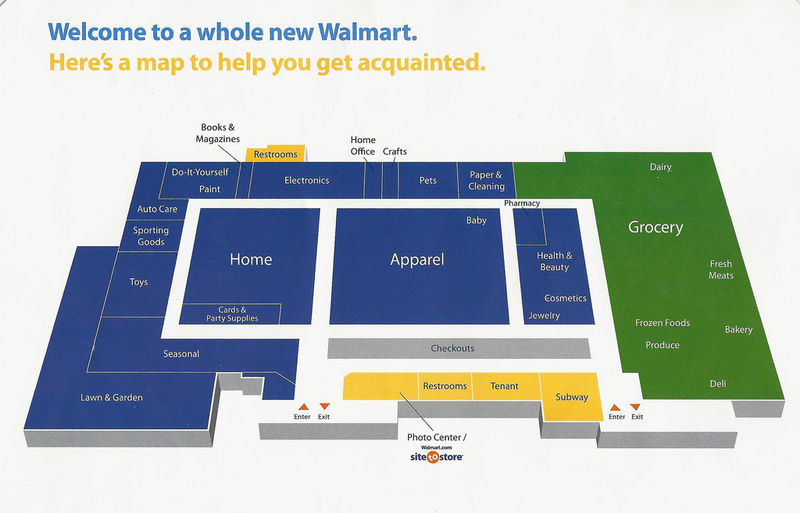 Nevertheless, the one thing lacking in shopping malls is organization, which can lead to a frustrating experience for someone who isn’t prepared to navigate throngs of shoppers while locating their intended destination. Like a shopping mall, your site’s content can also become a collection of vague information laid out in a seemingly haphazard way, which really doesn’t give visitors a clear path to conversion. And the best way to fix this is likely the simplest of all. Whenever you’re having trouble getting customers to convert, fixing the issue usually comes down to turning your content into something akin to a shopping mall’s map. Doing so, visitors are not only able to figure out where they are currently located with “You are here” messaging, but they can also see the broader “story” being told about the mall’s different locations. While this type of messaging works best on homepages by guiding customers to other pages within your website, it also sets the tone for customer expectations during their entire visit to your site. You don’t have to be charmed by modern European design in order to appreciate IKEA, the world’s largest furniture retailer, who in 2015 alone raked in more than 32 billion euros—or the equivalent of just under 36 billion U.S. dollars. Yet the retail giant’s success comes just as much from the store’s design as it does from its wide range of products, which include everything from indoor and outdoor furnishings to fabrics and items for the office. From the moment you enter IKEA’s doors, you’ve officially embarked on an hours-long journey through their entire store. Be that as it may, what at first appears as a journey of J. R. R. Tolkien-esque proportions, is actually a superb shopping experience from start to finish. Case in point: even though I wasn’t ready for a cosmetic overhaul of my bedroom when I made my first visit, for some reason I still found myself feverishly searching for a collection of seasonal linens. Well played, IKEA. Basically, the store’s layout is designed to orchestrate every move you as a customer make, taking you from furnishings to housewares to unusually large art pieces that only complement (and persuade you to buy even more) IKEA products. Then, two hours later, when you think you’ve finally had enough, IKEA offers you a second wind through their selection of scrumptious edibles and beverages, all of which serve as the final boost towards the checkout finish line. If this was content, you might think it had been designed by the copywriter to which all other copywriters bow their heads in respect and admiration. Truth be told, however, IKEA just knows how to peddle their products without hitting customers over the head with the sales sledgehammer. Just as with effective website messaging, what it really boils down to is IKEA letting you sell the products to yourself, and it works just as seamlessly online as it does in-store. From the attractive staging of their products (well-researched, long-form content pieces) to other bite-sized merchandise (taglines, calls-to-action, bulleted value propositions), you’re never going to leave the store until you’ve tested the tensile strength of your IKEA shopping cart. But isn’t this what great website content is all about? You bet it is. Because if crafting an experience based on your customers’ needs and delivering it in a strategic way makes IKEA wrong, then I don’t want to be right.